Pain Relief After Oral Surgery | Are Opioid Alternatives Effective? Advil and Tylenol Or Opioid Based Medication for Pain Relief After Oral Surgery? Health care professionals enjoy when their patients want to understand more, and dentists are no exception! When dental patients take the time to learn from their dentist, they build a relationship that’s beneficial to their understanding of the procedures they will go through. The doctor is able to understand the needs of the patient better, too. Communicating openly with an oral health care provider is crucial to the patient’s understanding of the risks and proper post-appointment or postoperative care. Removal of third molars, also known as the “wisdom teeth,” is one of the most common oral surgeries in the United States, representing 95% of all extractions among insured 16 to 21 year olds. Traditionally, Vicodin and hydrocodone, common opioid-based pain relievers, are most frequently prescribed by US oral surgeons after wisdom teeth are removed. Prescribers who often recommend opioid combinations such as Vicodin or Tylenol with codeine do so because “these combination formulations were thought to be the most effective oral analgesics for managing acute postoperative pain.” This opioid-based prescription method was established in the 1970s, nearly 10 years before the effectiveness of non-steroidal anti-inflammatory drugs (NSAIDs)—such as aspirin or ibuprofen—were even known. Many have heard about or experienced first-hand wisdom teeth removal, and may have been prescribed Vicodin or hydrocodone for pain relief after the procedure. But, what isn’t as well-known is the recent publication of clinical studies, which conclude that acetaminophen and ibuprofen, when used in combination, are more effective for pain relief after oral surgery than opiate-based pain medications. The School of Dental Medicine at Case Western Reserve University published this important breakthrough in 2017 at the conclusion of their study. Health care providers have a primary responsibility of treating disease and helping patients manage their pain effectively, leading them to be more inclined to provide the prescription that will give the most pain relief after oral surgery. While evaluating a patient’s true pain level after surgery, oral surgeons can effectively help a patient manage their pain, by prescribing acetaminophen and ibuprofen in combination as an alternative from opioid-based pain relievers. Keep in mind, however, that opioid based pain relievers may be the only option f­­­or approximately 20% of patients who either cannot take NSAIDs, or whose recovery plan may require a more intense prescription regimen. In addition to prescription medication, patients are given post operative instructions for home care that must be followed to ensure the best outcome. Be aware that smoking or alcohol consumption can increase the risk of postoperative infection and pain. 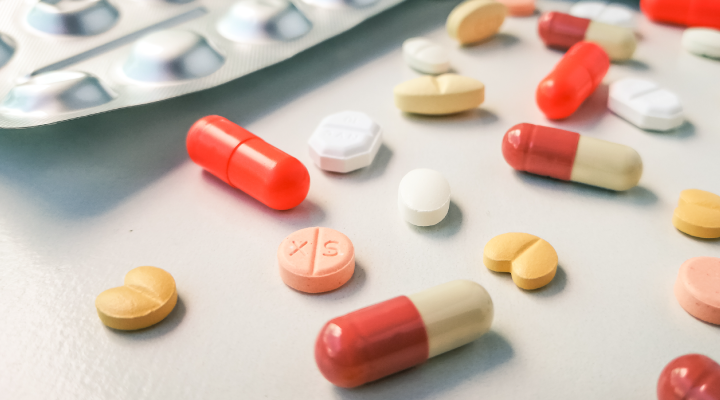 “Because of the safety and efficacy of NSAID analgesics, unless contraindicated, they should continue to be our primary agents for managing postoperative pain,” says Dr. Paul Moore, professor of Pharmacology and Dental Anesthesiology and Dental Public Health from the School of Dental Medicine at the University of Pittsburgh. Communicate with your dentist about your health history, your concerns, and your questions before moving ahead with a surgical procedure. It could lead to a more personalized approach from your dentist!